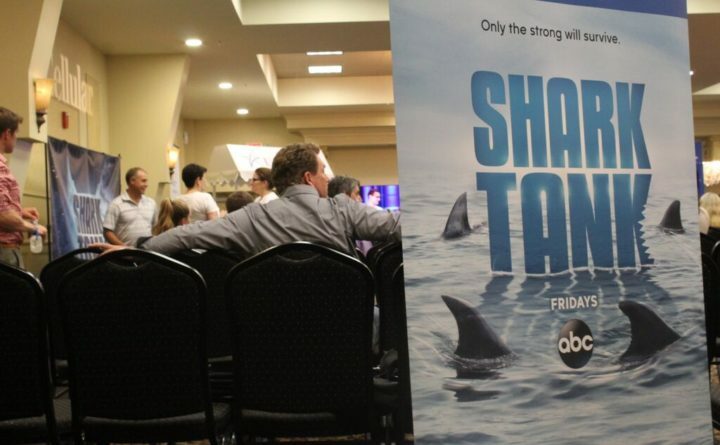 About 800 people showed up to pitch their ideas to casting directors for ABC’s reality show, “Shark Tank,” in this 2015 BDN file photo. A Lisbon High School graduate with degrees from Colby College and the University of Maine appeared on the ABC business pitch show “Shark Tank” Sunday, when tried to sell the investor hosts on his burgeoning custom water filter company. Eric Roy, 37, founded Hydroviv where he currently lives in Washington, D.C., the Sun Journal reported. Hydroviv makes home and commercial water filters customized for the water of each customer, and made headlines for donating custom filters to families in Flint, Michigan, starting in 2015 to help that community respond to a crisis of dangerous lead levels in its drinking water. On “Shark Tank,” entrepreneurs pitch their business ideas to a panel of celebrity investors, including outspoken Dallas Mavericks owner Mark Cuban and FUBU founder Daymond John, who can pass on it or make an offer to invest. Watch the video below to see what Cuban and real estate mogul Barbara Corcoran had to say to Roy. The episode featuring Hydroviv aired Sunday at 10 p.m.
Several other Maine natives have appeared on “Shark Tank,” and some have come away with big business opportunities. Windham native Alanna York accepted an investment offer by “shark” investor Lori Greiner on the show in 2016, while in 2012, Corcoran bought in on a lobster food truck business pitched by Cumberland County natives Sabin Lomac and Jim Tselikis. CORRECTION: A previous version of this story listed the wrong college Roy attended.